In April, the Chinese-built Luganville Wharf in Vanuatu prompted an Australian journalist to suggest that this might eventually lead to a Chinese military presence in the Pacific. Such a reaction, though exaggerated, is not surprising given the nature of Chinese foreign aid to the Pacific. How is Chinese aid program to the Pacific structured? Why has it triggered concerns about China looking to establish its presence and challenging the existing regional order? 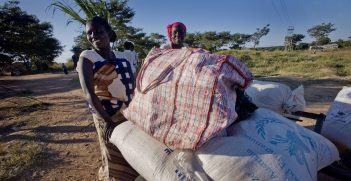 Concessional lending used to be popular with Western ‘traditional’ aid donors, such as those that make up the Development Assistance Committee of the Organisation for Economic Co-operation and Development. But they have since lost popularity as developing nations became debt-ridden. Some might, for example, recall the public campaigns for debt forgiveness that persisted in the 1990s and early 2000s. China, however, continues to engage in concessional lending as a major component of its aid program. In the case of Chinese aid to Pacific nations, as much as 80 per cent is believed to come in the form of concessional low-interest loans. A US research lab, AidData, also found that, out of the USD 350 billion (AUD 473 billion) Chinese aid dispersed between 2000 and 2014, USD275 billion came in the form of concessional loans. These loans are provided by the Export-Import Bank of China (Eximbank), which is wholly owned by the Chinese central government and reports directly to the Chinese State Council. According to Eximbank, these loans are provided to fund larger infrastructure projects with the goal of “promoting economic development and improving living standards in developing countries” and “boosting economic cooperation between developing countries and China.” They are granted with an annual interest rate of two-three per cent, with a 15 to 20-year repayment period after a five to seven-year grace period. The repayment period is relatively short, considering the fact that a typical loan by World Bank must be repaid in 30 to 40 years. While these loans contribute to important projects, they also result in earnings being repatriated to China. Eximbank requires that concessional loan projects be contracted to Chinese companies, with 50 per cent of materials to be sourced from China. In Tonga, concessional loans have helped finance the rebuilding of the capital, Nuku’alofa, and the construction of roads. In Samoa, they have been used to build a medical centre, a broadband network, a convention centre and numerous public buildings. In Vanuatu, concessional loans have financed aircraft and communications infrastructure. Similar loans granted to the Shanghai Construction Group also financed the construction of Luganville Wharf. Due to Beijing’s concessional loans, many Pacific countries have become indebted to Eximbank. For example, 44 per cent of Vanuatu’s foreign debt comes from China, while 16 per cent of Samoa’s gross domestic product (GDP) consists of debts owed to Beijing. As for Tonga, its debts to China amounted to 43 per cent of GDP, with two-thirds being owed to Eximbank. In fact, Tonga could not meet the first repayment of loans for the Nuku’alofa reconstruction due in September 2013. A recent negotiated settlement in 2018 means that Tonga must now pay an annual USD24 million of debts, which is equivalent to about 10 per cent of the government’s budget. What happens if the debt can’t be repaid? The failure to repay debts have significant implications for the strategic autonomy of Pacific countries. In the past, China has forgiven some loans in exchange for access to particular resources and control over the asset itself. In Sri Lanka, Chinese companies constructed the multi-billion-dollar Hambantota port through concessional lending. By 2017, the facility reverted to Chinese control under a 99-year lease agreement with the Sri Lankan government because the debt was unable to be repaid. Similarly, in some African countries as well as Venezuela, China has offered to forgive debt in exchange for access to a supply of resources. Such cases inform Australian suspicions over the Luganville wharf. While the suggestion of a military presence was quickly dismissed by the governments of both Vanuatu and China, concerns prompted a statement from the highest level of the Australian government. 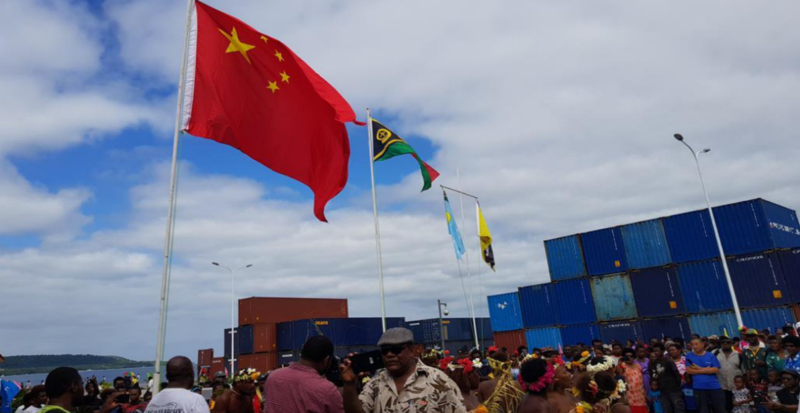 The obvious concern is that if Vanuatu fails to repay the loan, the wharf may revert to Chinese control. However, given the repayment period of Eximbank loans, we will have a few more years before these fears are confirmed. Steven Warwick has recently completed a Master’s degree in Asian and Pacific Studies at Australian National University. He is a former intern at the AIIA’s National Office and editor of Australian Outlook. International aid is in desperate need of a complete shift in direction, one which is focused on building local capacity, incorporating emerging technology and genuine collaboration. 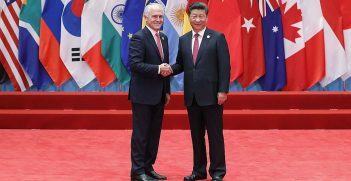 Balancing relations between China and the United States is arguably Australia's greatest foreign policy challenge in the 21st century. 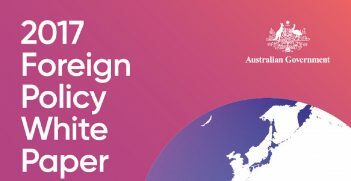 But is Australia getting it right?